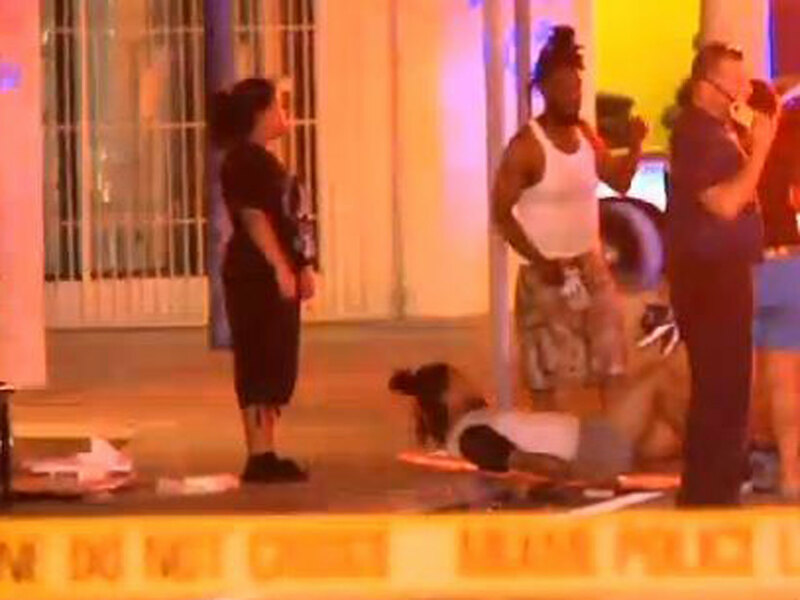 MIAMI - Miami police are investigating why so many underage people were present at a nightclub during a pre-dawn shooting as they interview dozens of witnesses to the weekend chaos that left 15 people wounded. Among those hit by gunfire early Sunday morning at The Spot were five girls ranging in age from 11 to 17, Miami Fire Rescue Capt. Ignatius Carroll said. "What was very surprising to the responders was that these were kids that were out at 1 o'clock in the morning in a club and this type of violence took place where a bunch of kids were gathering," Carroll said. "It's very disturbing to see that." Investigators were interviewing the owner to determine what type of club The Spot is and why so many underage children were there, said police spokeswoman Frederica Burden, who noted that she had never heard of the venue despite having worked in the neighborhood for years. Of the 15 wounded, one was reported in critical but stable condition and the other victims remaining in the hospital were in good condition Sunday, Burden said. Some victims had also been released, but Burden said she did not know how many. The shooting sent terrified patrons scrambling into the street. When Miami police and rescue crews arrived at the club around 1 a.m., they found wounded people inside and outside the club, some too hurt to flee, Carroll said. One male was found unresponsive and not breathing when emergency responders arrived. Burden said it was not immediately clear how many shooters were involved or what prompted the violence. Police had not made any arrests as of Sunday, and had not publicly identified any suspects.